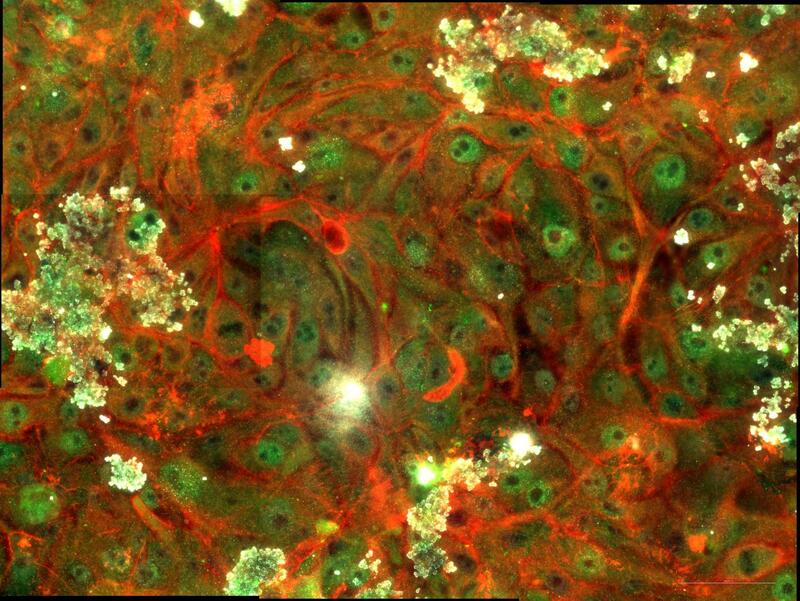 Researchers have built a model to investigate the metastasis of cancer by examining the metabolism of breast epithelial cells and look at the role of signaling. This research, published in PLOS Computational Biology, may contribute to the development of cell specific anti-cancer interventions. Scientists, led by Ottar Rolfssonat the University of Iceland, have built a mathematical model to examine the metabolism of breast epithelium — as the majority of breast cancers originate from these cells. The model specifically looks at the process of epithelial to mesenchymal transition (EMT) which is an important event during development and cancer metastasis. One of the key metabolic alterations that takes place during EMT is that of the epidermal growth factor receptor (EGFR) which is a pathway that regulates growth, survival, proliferation, and differentiation in mammalian cells. EFGR signaling often affects metabolic rate in tumor cells and controls their progression — the dysregulation of signaling pathways during this process is therefore a hallmark of metastasis. The scientists’ model looks at the EGFR signaling cascade to investigate crosstalk between EFGR signaling and EMT in cell culture models of human breast epithelium. The model was then used to obtain a list of potential signaling and metabolic targets of EMT. These targets may aid in the understanding of the molecular mechanisms that underlie EMT and cancer metastasis. The results also show how the metabolic signposts of cancer cell growth and EMT can be predicted based on the transcriptome analysis of EGFR signaling genes alone (where current methods are inconsistent) — thus supporting the idea of cell specific anti-cancer interventions. This press release refers to upcoming articles in PLOS Computational Biology. The releases have been provided by the article authors and/or journal staff. Any opinions expressed in these are the personal views of the contributors, and do not necessarily represent the views or policies of PLOS. PLOS expressly disclaims any and all warranties and liability in connection with the information found in the release and article and your use of such information.